Fun fact: The car may not even be his to bet. The NFL is perhaps the only other business with egos larger than those found in the auto industry. Every player believes he’s the best, and if you don’t agree then he’ll smash you in the mouth to prove it. In addition to hitting each other, NFL players also like to make bets. Brandon Marshall, a wide receiver for the New York Jets, that he’d have more receiving yards than him this season. Marshall is willing to bet his Porsche 911 GT3. What is he asking from Brown in return? 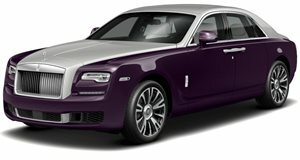 Only the superstar’s custom Rolls-Royce Wraith. It’s a pretty bold challenge but Marshall is surprisingly subdued when issuing it. As for Brown, he told TMZ Sports that . He noted the price difference between the two cars, saying, "The RR is about $100k up [from the value of the Porsche]." He then told Marshall to call him if he was serious. "If he really serious, CALL ME ... I'll gladly accept. Don't Internet it." Brown had more receiving yards than Marshall last year and his car is technically more expensive…but it just looks so hideous. That Steelers-inspired wrap may be cool to fans of the team but it just makes our eyes bleed. Besides, we’d rather race around New York in a 911 GT3 than cruise through Pittsburgh in a Wraith, but that’s just us. An interesting side note is that Porsche is an official sponsor of the New York Jets. That means that Brandon Marshall may not even own the 911 GT3 in this video. If so then he may have a tough time explaining to the team and Antonio Brown why he needs to "borrow the keys" should the season end with him losing this bet.